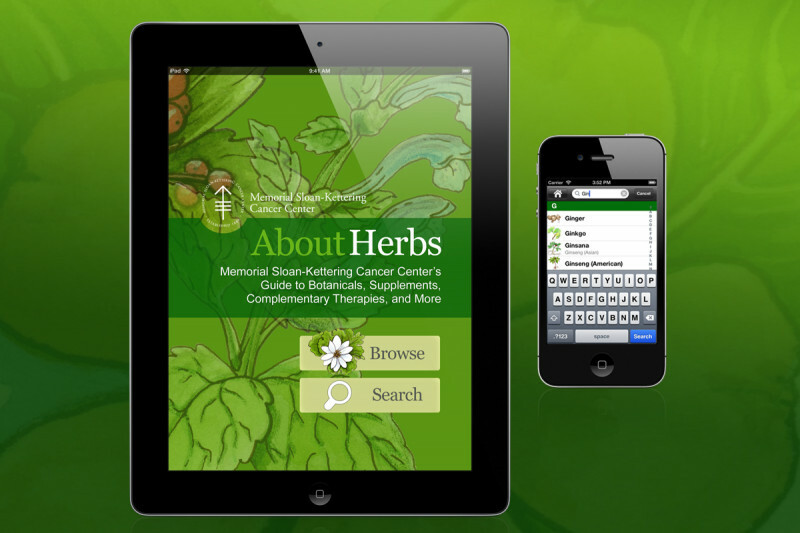 Memorial Sloan Kettering’s About Herbs app is presented by our Integrative Medicine Service. It is compatible with iPad®, iPhone®, and iPod Touch® devices. A web app version for all other mobile devices is also available. In this app, our Integrative Medicine Service — under the leadership of a pharmacist and botanicals expert — provides comprehensive, objective information about herbs, botanicals, supplements, complementary therapies, and more. Download the Memorial Sloan Kettering About Herbs app from the App StoreSM or access the web app version.